A comprehensive audit for its systems and procedures were conducted on 12th of June, 2017. This ended in renewing PAUK ISO 9001:2008 with zero non-conformances. 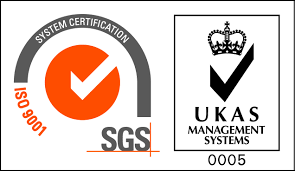 The second surveillance audit was conducted by SGS International in UK. The Audit team expressed their satisfaction with the level of the implementation of the system at PAUK. Major Dr. Khamis Al Mheiri expressed his thanks to the team headed by Captain Abdulla H Al khyeli Deputy of the Police Attache' to achieve such an excellent award. He expressed thanks to all PAUk staff for their efforts in continuing their successful performance throughout and emphasized on the importance of exceeding customer expectations at all lines.